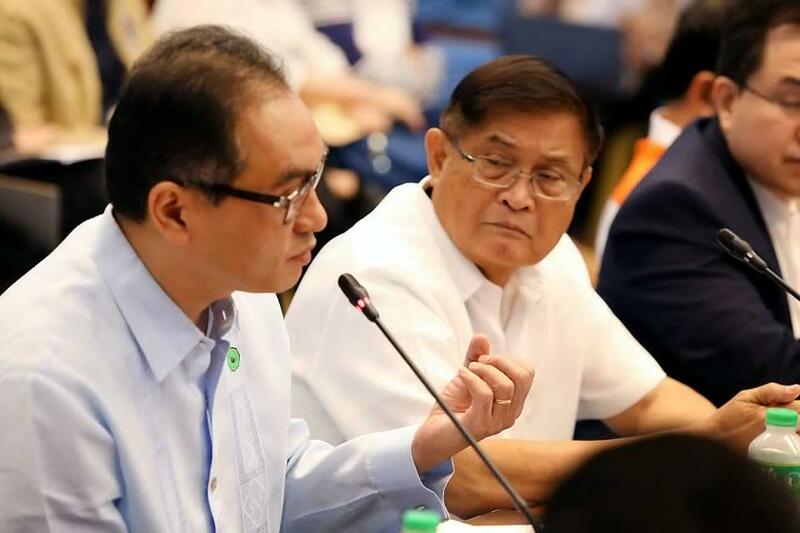 MANILA – The president of Manila Water on Wednesday sought "forgiveness" from customers hit by a supply shortage in the Philippine capital, as one lawmaker called for his resignation. On the third straight day of legislative inquiries into the shortage that left taps dry and disrupted businesses for tens of thousands, the Ayala-led utility called for coordinated action to seek new water sources for Metro Manila. "Please convey to your constituents and also to customers of Manila Water in the East Zone of Metro Manila, I’m seeking forgiveness from your constituents," Manila Water president and CEO Ferdinand dela Cruz told a hearing at the House of Representatives. Dela Cruz made a similar statement before the Senate committee on public services on Tuesday, saying he was holding himself accountable as he recognized public anger. During Wednesday's hearing, Buhay party-list Rep. Lito Ateinza told Dela Cruz: "Dapat mag-resign kayo dahil kung hindi (You should resign), feeling sorry, saying sorry is not enough." "You have failed as a management man, as a marketing man, as a distributor of our prime commodity which is water. We cannot take your sorry," Atienza said. Dela Cruz said the water crisis should serve as a "catalyst" to end tossing blame and lead to the drafting of a 50-year water security plan. "If my resignation today will not only erase our supply deficit, but also resolve to a united front to urgently build new water sources, then I would be extremely happy to resign at this very moment." he said. Manila Water will “fast track” restoration efforts such as refilling 28 reservoirs and ensuring reliable operations of 20 pump stations.